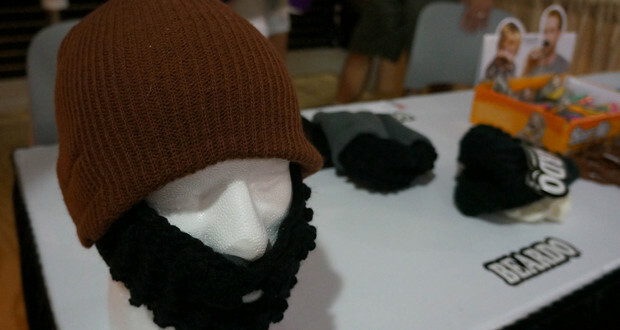 The Beardo is a fun stocking hat with foldable, detachable or hideaway knit beard on it to keep your face warm. The Beardo is very warm with the knit beard also lined with fleece. The stocking hat is comfortable and fashionable. The Beardo comes in a variety of colors for men, women and even kids. Beardo has expanded their line to more than just bearded hats you can also get ski masks with designs such as a clown, shocked faces etc. The ski masks are the only 306 degree seamless HD design, they have a soft fleece lining and have anti fog protection. Beardo also has a great line of Houdini Beanies which are three products in one. It can transform from a stocking hat, to a scarf or head wrap in seconds. It fits snugly and has a stylish look. Breaking away from hats and scarves Beardo also has the BeerMo, silicone mustache that clips on to any bottle or pacifier to add some class to your drink. The BeerMo comes in six colors in a pack: black, brown, hot pink, yellow, ginger and green. It is great as party favors or just to get the conversation going in any situation. The future is unwritten for the Beardo Brand… it is an exciting time for us and we are continually looking for new opportunities as well as great adventures! One thing is for certain though, we are continually designing NEW, trendy and functional products for use in the great outdoors!